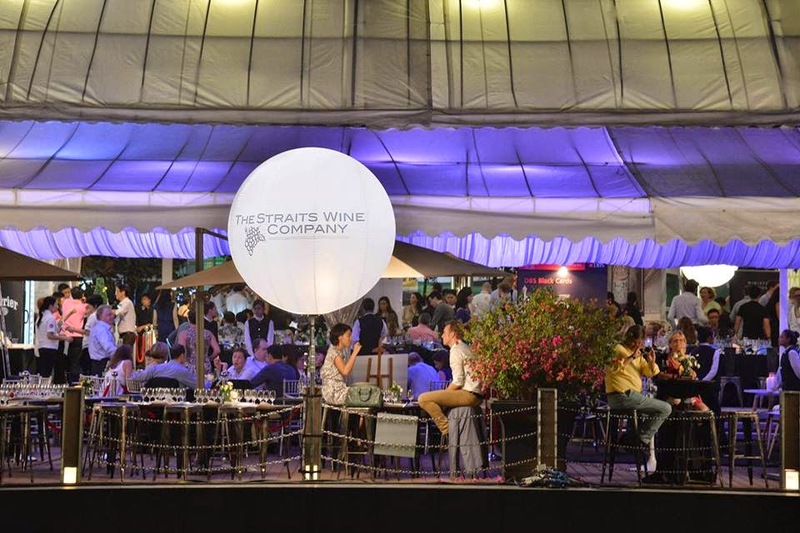 From October 23 to October 26, 2014, over 70 wineries from all over the world presented their wines at the Singapore Wine Fiesta, the annual portfolio presentation of The Straits Wine Company. The wine fair was opened by a Winemakers’ Table Dinner on October 23, with the menu crafted by The Fullerton Bay Hotel Executive Chief Sandro Falbo. 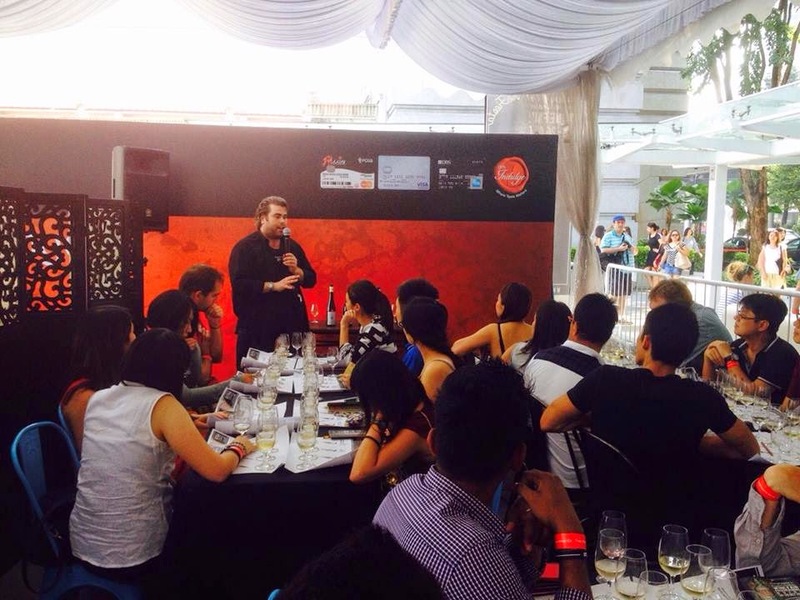 This was the seventh edition of Singapore Wine Fiesta. Tickets for the dinner (including wine tasting) were sold at S$228 and for the wine tasting at S$55. Exchange rate at the time of my visit: S$1 = US$0.8. On the supply side, the number of importers has mushroomed in recent years. Berry Brothers and Rudd moved into Asia in 1998, establishing offices in Hong Kong, Shanghai and Japan, is now also present in Singapore. Berry Brothers and Rudd predicts that its Asia businesses will account for half its global sales in five years’ time, up from 15% currently. “People have always looked at Singapore as a small market rather overshadowed by China, Hong Kong and Japan. But people are realizing that it's not just an interesting market by itself, it’s a hub for Southeast Asia too,” said Simon Berry, chairman of Berry Bros. 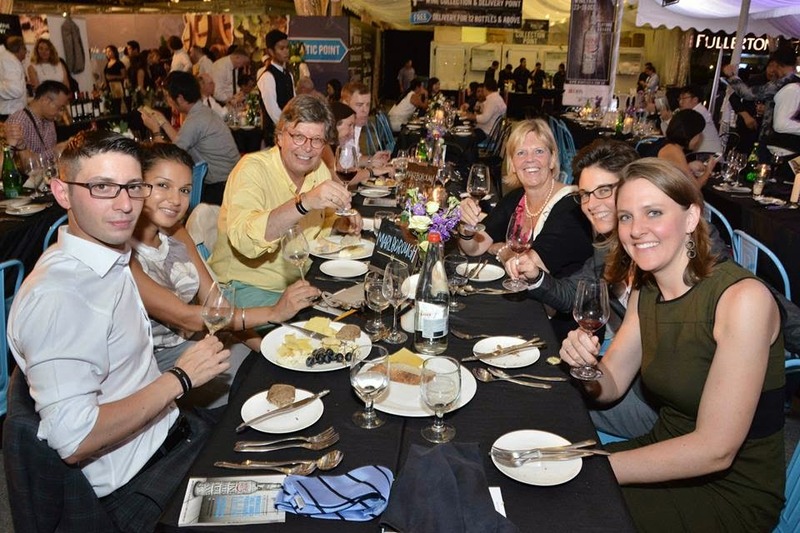 The Singapore Wine Fiesta 2014 welcomed an estimated 10,000 visitors. They could taste some 300 wines (and also buy them, at special prices). The wine show offered a one-stop shopping, tasting and educational experience for everyone who loves wine – from the newbie to the connoisseur. Those who wanted to boost their knowledge of wine could sit and sip with wine experts and winemakers who conducted free master classes every 45 minutes. There were 10 master classes a day by guest speakers, touching upon a wide variety of topics, ranging from the technicalities of viticulture to fun sessions which pair wines with local food. One of the presenters was Joel Payne, chief editor of the Gault Millau Germany Wine Guide. After the trade show he will have to rush back to Germany as the 2015 Gault Millau WeinGuide Germany will be released in Mainz on November 5. To top off the experience, the Singapore Wine Fiesta was set amidst an unbeatable backdrop of Singapore’s rejuvenated city center, at Clifford Square. Visitors could enjoy a breathtaking view, including the iconic Marina Bay Sands building. Straits Wine Company’s Wine Fiesta 2014 began with a fantastic Winemakers’s Table Dinner on October 23, in which I participated with Annette Schiller, ombiasy PR and WineTours. The wines that I tasted on that evening included CVNE Imperial Gran Reserva 2004 (Wine of the Year by Wine Spectator), Vietti Barolo Lazzarito 2010 (96 points by Antonio Galloni), Marques de Murrieta Castillo Y’gay Gran Riserva Especial 2005 (96 points by Wine Advocate), Jean Marc Brocard Chablis Domaine Ste Claire 1998 Magnum and Yarra Yering Dry Red Wine No.2 2007 (one of Australia’s most iconic winery). From Germany, Weingut Prinz von Hessen (Rheingau) and Weingut Richter (Mosel) presented their wines. To celebrate the debut of the Women’s Tennis Association Finals in Singapore, which happened in Singapore in the same week as Wine Fiesta, the wines were accompanied by a bespoke tennis-inspired menu crafted by The Fullerton Bay Hotel Executive Chief Sandro Falbo. We stayed until the very end. It was such an amazing event.